Tuesday marked the 40th anniversary of Roe v. Wade, the Supreme Court decision that legalized abortion in the United States. Regarded as a landmark decision in paving the way for women’s health rights by legitimizing their right to privacy, Roe v. Wade has gone down a tumultuous path the last few decades, as many states have limited the number of existing abortion clinics. On campus, numerous University-affiliated bodies provide services and advice to students interested in getting an abortion. The Ryan Center, a University of Chicago Medical Center (UCMC) clinic, provides abortions for students and community members with affordable payment plans. The cost of an abortion at the Ryan Center is typically between $350 and $1,500, depending on the stage of pregnancy. But the service is fully covered by most insurance policies, including U-SHIP, UChicago’s default health-care plan for students, making it virtually free for most. For those patients for whom the procedure’s costs remain a barrier, the Center also collaborates with two national abortion funds and various donors to further mitigate the cost. Assistant professor of obstetrics/gynecology Amy Whitaker, of the Family Planning and Contraceptive Research Department, estimated that they see about one student a month choosing to get an abortion at the Center. 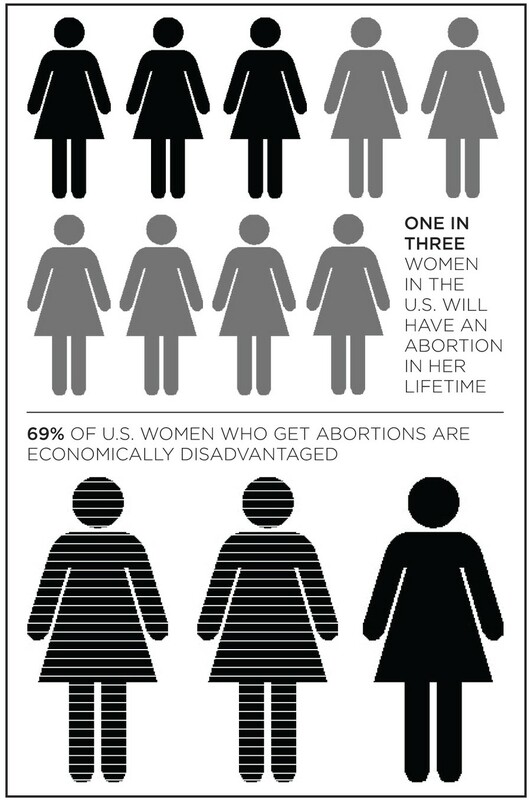 “[It is] likely that more students are having abortions. They may choose to go to an off-site location or not know that the Ryan Center exists right here on campus,” she said. In addition to affordable provisions of abortion and contraceptive services, staff and faculty members at both the UCMC and the Student Health and Wellness Center also work to cultivate a supportive environment for students seeking sexual health services, according to Assistant Vice President for Student Health and Counseling Services Alex Lickerman. “The clinic’s policy is that we support a woman’s right to choose and whether we feel personally for or against abortion, our job is to serve the needs of the students,” Lickerman said. “It’s not our job to judge; our job is just to care for people,” he said. Section Chief for Family Planning in the Department of Obstetrics and Gynecology Melissa Gilliam runs various research and policy programs relating to personal empowerment in reproductive health. Like Lickerman, she steers her department toward being impartial with patients. But the issue remains divisive. Some students, like first-year Jack Schmerold who is planning to start a new pro-life RSO, take issue with the abortion provisions available on campus and with what they consider the implicit adoption of a pro-choice stance.